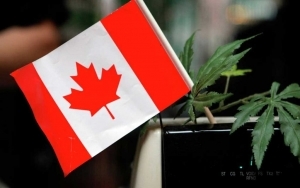 The Niagara Independent, October 19, 2018 – As of Wednesday this week, Canadians can possess and share up to 30 grams of legal cannabis. We can legally buy it and we can grow up to four pot plants per residence for personal use. Reaction by our national leaders has been rather mellow. Prime Minister Justin Trudeau reassured Canadians the country is ready for this drug, admitting he has regularly enjoyed it through the years. NDP Leader Jagmeet Singh stated his greatest concern is how fast the federal government can expunge Canadians’ criminal records for pot possession. One serious issue is that there is not enough trained police officers, and Canadian forces are ill-equipped to deal with drug-impairment. Currently 13,000 Canadian police officers have training in standard field sobriety testing – a number that should be closer to 20,000. Only 833 Canadian police officers have received specialized training as drug-recognition experts. Police chiefs recommended to government that 2,000 officers were required to appropriately handle drug-impaired driving. Also, the vast majority of police forces across the country are not equipped to draw a blood sample at a police station or detachment. Ottawa’s minister-in-charge, former police chief Bill Blair, stated this week that he understands “the anxiety” associated with legalizing marijuana but insists the government has provided tools to make roads and communities safe. This past Monday, the Liberals approved a road side saliva testing device for marijuana impairment. The Drager Drug Test 5000 tool and the training to use it, will now be available as an option for police to test impairment. However, there’s no word on availability or cost. No mention of the anticipated court challenges – the constitutional challenges – that will inevitably delay the wide and consistent use of this drug test by police. Drug impaired driving may be the most concerning of issues related to legalization of marijuana, but it is not the only one. There are many unanswered questions about retail regulations (passed onto the provinces), health effects and the effects of secondhand pot smoke, age appropriate usage, public and private spaces where pot can be banned, introduction of drinkables and edibles, and U.S. and international travel.